Third year in a row Jas took part in Taichung Jazz Festival. Last Saturday he had last performance with The Youth Jazz Big Band. 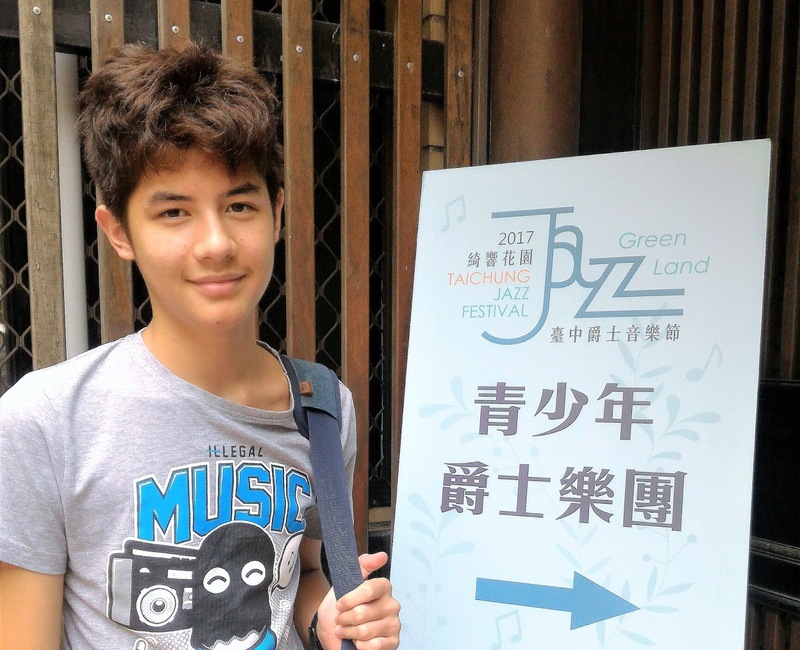 As in the previous years, after auditions the chosen young musicians have a weeklong training in Taichung. For the training, which takes place in August, I move with Jas (and this year also with Ania) to Taichung. Jas spends whole days rehearsing and we explore the city. During whole month of September the band has concerts at different schools in Taichung area. And although Jas has to commute, he took part in all of them (because of the concerts he couldn't go to Poland with me this year). This year the Jazz Festival in Taichung lasted 9 days, from Oct.7th until Oct.15. Youth Jazz Big Band had their performance in the evening of Saturday, Oct. 14th. When we got to Taichung in the afternoon, it was raining! Pouring! The venues for the festival are outdoor stages so when rain comes there are not many people in the audience. I was afraid that is going to be the case with Jas' concert. Fortunately just when concert was about to start, the rain stopped. Many people came to listen to those youngsters play. I must say it was a very good concert. Congratulations! Gratulacje! Piękny koncert i zdolny zespół! Myślę, że jazz jest trudniejszy do grania niż nie jazzowa klasyka, wymaga , jak mi sie wydaje, szczególnego wyczucia rytmu. Braaaawo!